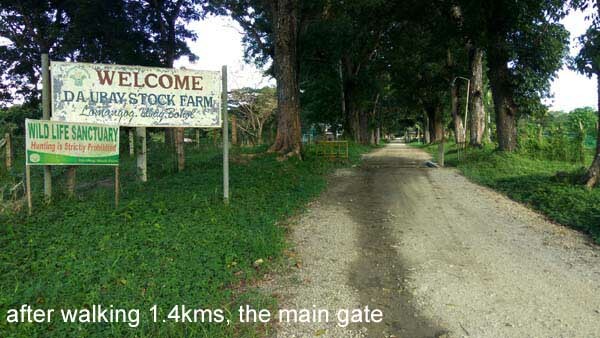 The Ubay Stock Farm is one of Ubay's touted tourist spots. 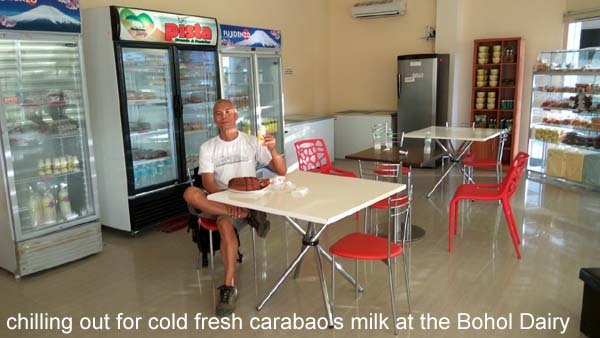 The place is more famous for its roadside Bohol Dairy Outlet - a retail outlet where people can buy pastries or fresh carabao's milk. I'd been to the dairy outlet before but not inside the stock farm. 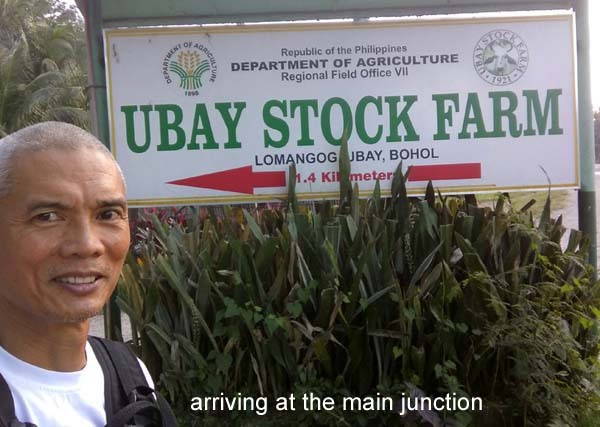 I wasn't sure if it was a petting zoo for livestock or a tour of a working farm, but with my few remaining days in Ubay, I thought I'd pay it a visit and see what it's all about. 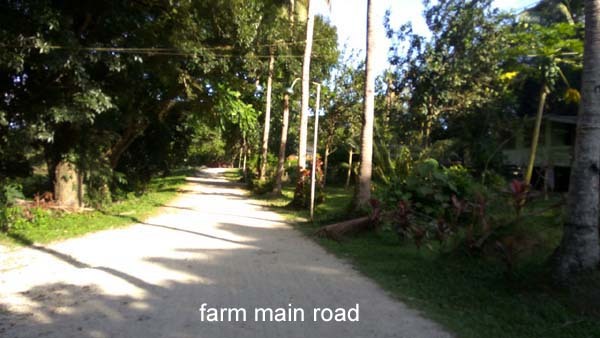 The farm is just 10kms away from the town center (P20 a/c bus, 15 mins). From the highway junction, it was a 1.4km walk. 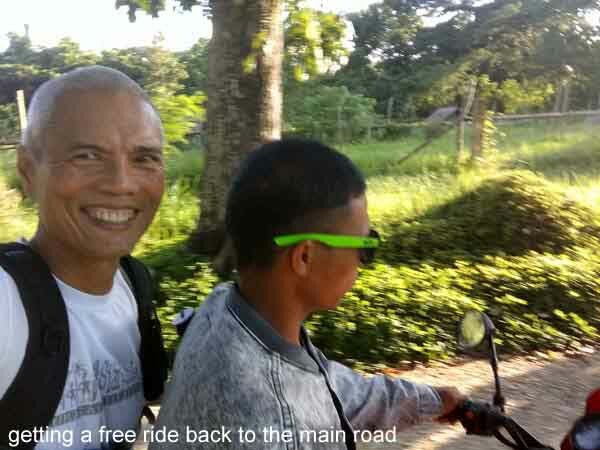 There were no single motorcycles around. I was told however, that it's common practise to hitch a ride to the farm. The people involved in the farm are likely to give a ride. I took advantage of this by hitching a ride on the way back. Upon arrival, I went straight to the office to get a heads-up with their public relations person, Ms. Elizabeth. 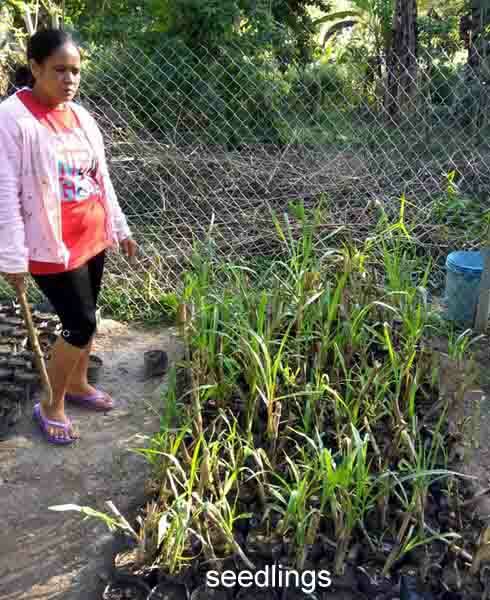 According to her, the farm is focused on breeding and doing research on the indigenous Bohol variety of native pigs and chickens, to name a few. 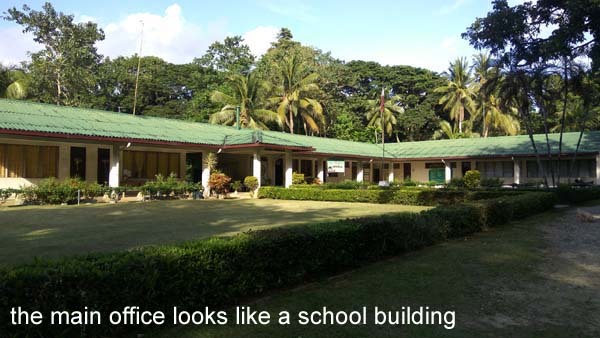 They would sell them to farmers on a 5-year loan payment program, after careful evaluation of the farmers' facility to ensure the viability of the project. I went to the native pigs section and talked to the people about the program. 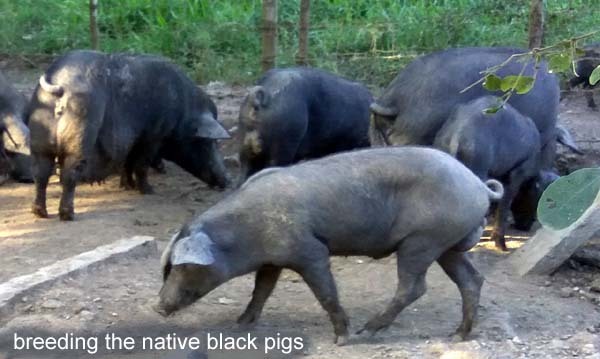 They have about 200 native (black) pigs currently, which are constantly bred and dispersed to hog farmers. 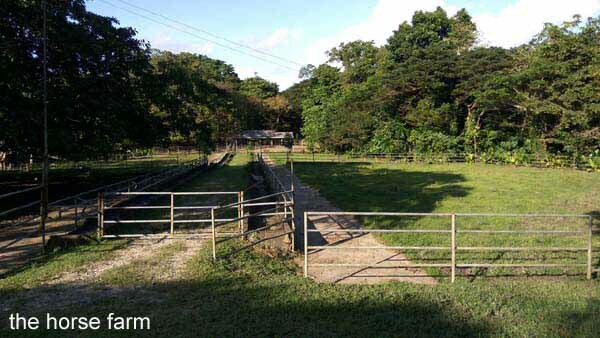 They sourced the native pigs by going around the countryside and buying the pigs from private householders. 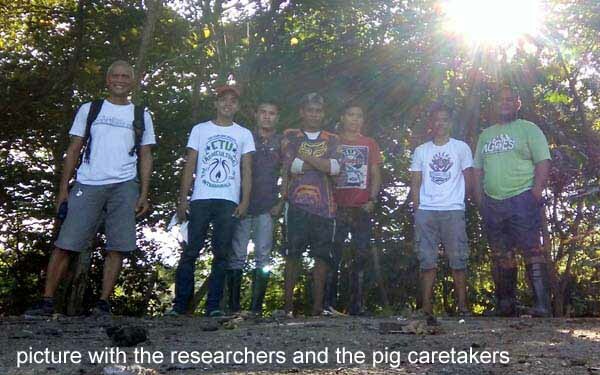 Native pigs are tastier than the hybrids and can eat leftover foods (kanin baboy) and organically prepared plants (chopped-up banana trees). On the downside, they take a much longer time to mature. Commercially speaking, the white hybrids are more lucrative for the hog farmer. I went over to the native chicken area and talked to the manager, Ms. Gaye. Like the native pigs, the native chickens face the same challenges. 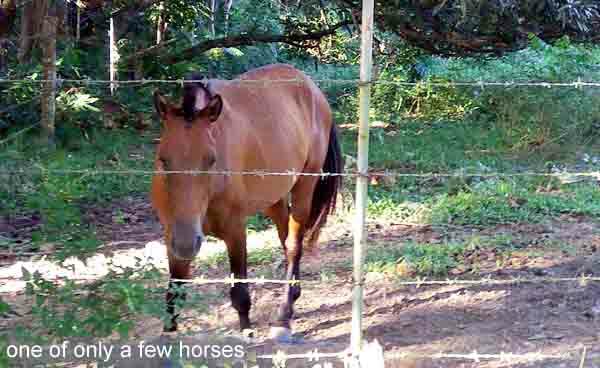 They are inherently tastier and can survive on their own eating worms, insects and young grass. But on the downside, they take a much longer time to mature. Native chickens take about 5 months to reach 1 kilo. On the other hand, the white hybrids can only take 21 days to reach 1 kilo! 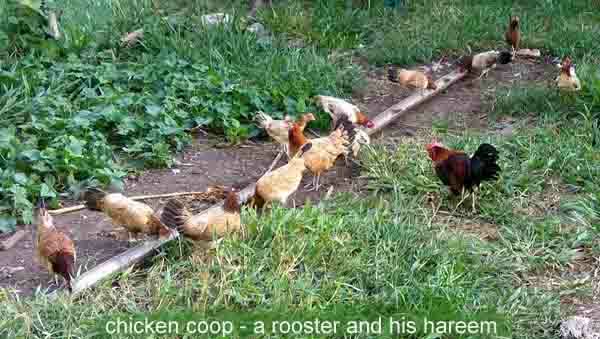 Again, it's more lucrative for the commercial chicken farmer to raise the white hybrids. 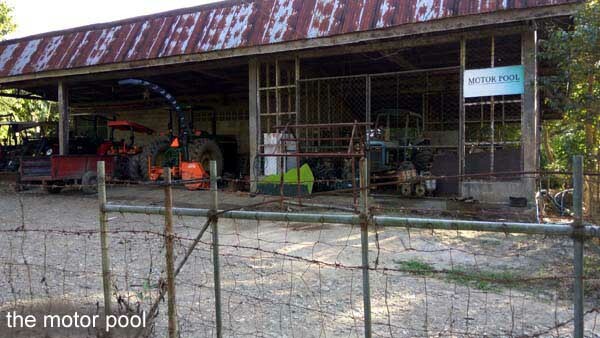 In reality however, the chicken breeding is done by large corporations with their mechanized facilities. The small chicken farmer is all but marginalized. 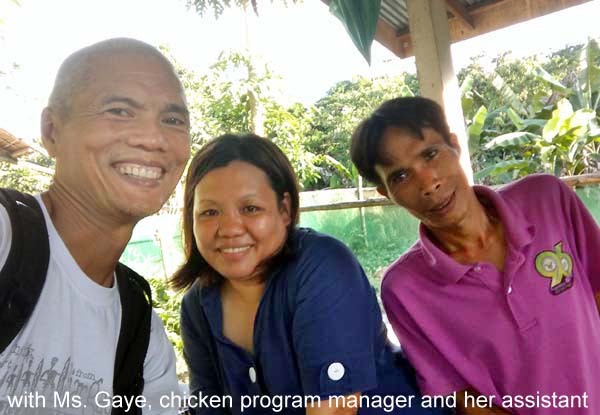 An experimental program is underway to introduce turbo-chicken to compete with the established lechon-manok. The basic difference being the turbo chicken is native chicken cooked without oil. It's a healthier alternative (no oil and no growth hormones) but it's twice as expensive. Lechon manok sells for P180 for a kilo of whole chicken, while turbo chicken sells for P360! Selling the native variety is a hard sell to the farmers if you have to compete in price. However, with increasing public awareness of the detrimental effects to health in ingesting growth hormones, anti-biotics and other questionable means of raising livestock, I feel confident that there is an untapped niche market out there for native livestock - people with purchasing power who are willing to pay a premium for quality food. Who exactly are these people? People who buy health supplements, people who go to the gym, people who go to Zumba and yoga classes, etc! If they are willing to pay good money for untested supplements claiming therapeutic health benefits (as expressly stated in the labels), why would they not be willing to pay a premium for organic food? I believe it's just a matter of marketing to point out the logic and connect the dots - these people with purchasing power are also highly educated. I also believe that there is no net gain for the buyer of the hybrids. Sure, they save a little in making that purchase, but somewhere down the road, the accumulated growth hormones, anti-biotics and genetically modified feeds ingested into a person's system will take its toll. All those savings are taken back in medical bills, doctor's visits and hospitalization and decreased quality of life. When I was a kid, people died of old age. Now, the overwhelming majority die of cancer. When you eat a hybrid, just how much of what you're eating is chicken and how much are anti-biotics and growth hormones? Take your time to let that thought sink in.